Contributions from transfers of development rights by theaters in the district would be increased four fold—from $17.60 per square foot to 20 percent of the sales price. On September 7, 2016, the City Planning Commission held a public hearing on a proposed amendment to the City’s Zoning Resolution that would solidify the contribution rate to the Theater Subdistrict Fund related to the transfer of development rights from 46 listed theaters in Manhattan’s Theater Subdistrict. Currently, a transfer of development rights from an enumerated theater requires a contribution to the Theater Subdistrict Fund of $17.60 per square foot transferred. City Planning’s proposed amendment would change the contribution rate to a set 20 percent of the sales price and would establish a floor price for transfers as a basis for a minimum contribution. Additionally, the amendment would change the certification requirement of the special permit from approval by the City Planning Commission to only the Chairperson. For CityLand’s previous coverage of the Theater Subdistrict Fund click here. The Special Theater Subdistrict—the first special district established under the Zoning Resolution—was created to preserve and protect the theaters from the westward expansion of Midtown office development. In 1998, a zoning text amendment created the Theater Subdistrict Fund to develop new audiences and promote the production of new theater work. A special permit mechanism facilitated the transfer of development rights within the subdistrict in exchange for legal assurances of the continued use of the transferring lot as a theater and a contribution to the Theater Subdistrict Fund. The City Planning Commission was required to review and adjust the contribution amount every two to five years. The initial contribution rate to the fund was set at $10 per square foot and was increased by City Planning to $14.91 in 2006 and $17.60 in 2011. 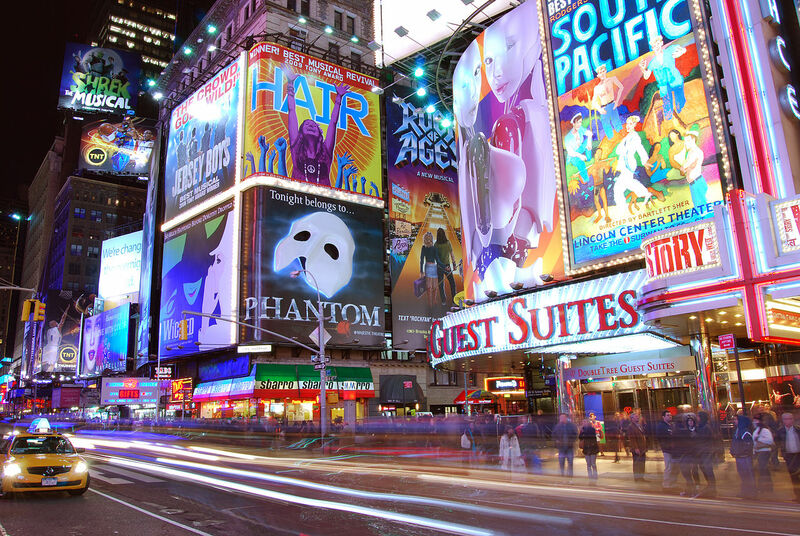 A study generated by Avison Young for the New York City Economic Development Corporation reported a considerable increase in the value of transferable development rights in the Theater Subdistrict since 1998. Specifically, from 2001 to 2007 eleven transfers occurred ranging from $82 to $390 per square foot, and averaging $224 per square foot. From 2008 to 2016 sixteen transfers occurred ranging from $298 to $692 per square foot, and averaging $461 per square foot. On May 13, 2016, Manhattan Community Board 5 released their written recommendation on the proposed text amendment. Community Board 5 disagreed with the change of certification requirements and insisted that future transfers should remain subject to a full Commission Certification. Community Board 5 recommended, however, approval of the text amendment upon the condition that the chair of the community board be appointed to the Theater Subdistrict Council—which controls grants given from the Fund. The Theater Subdistrict Council is comprised of the Mayor, the Speaker of the City Council, the Manhattan Borough President, the Director of City Planning and four representatives from the theatrical industry appointed by the Mayor and the Speaker. Community Board 5 argued that the chair of the community board would add a unique perspective. At the September 7th public hearing, Jefferson Mao, Manhattan’s Urban Planner for Community Boards 4, 5, and 7, spoke on behalf of Manhattan Borough President Gale Brewer. Mao conveyed the Borough President’s support of the text amendment, expressing the Borough President’s belief that adjusting the contribution rate to 20 percent of the transferred rights value would be in line with the original purpose of the 1998 amendment. Mao, however, raised a concern that the Borough President had about the change in the certification requirement and recommended that the transfer of development rights remain subject to a Commission Certification, not a Chairperson Certification. Greg Lewis, Community Associate for Community Board 5, spoke on behalf of the community board. Lewis noted that when the 1998 amendment passed the $10 per square foot term was approximately 20 percent of the value of the development rights but overtime the value of contributions going into the Fund greatly depreciated in comparison to the value of the development rights. Lewis stated that Community Board 5 enthusiastically supported the change and hoped the Commission approved them. Paimaan Lodhi, on the behalf the Real Estate Board of New York, spoke in opposition of the amendment. Lodhi gave the example that the most recent transfer in 2016, had the new 20 percent contribution been applied, would have raised the contribution requirement from $17 to $100 per square foot. He characterized the rise in the contribution rate as “onerous, excessive and unfair.” Lodhi argued that such a dramatic increase would chill the market and result in few, if any, transactions. Instead, Lodhi recommended that the rate stay at a fixed dollar amount and be raised to only $25 which he claimed better reflected the increase in development rights value from 2011 to 2016. Chairman Carl Weisbrod commented that looking back at City Planning’s 1998 report, the intent was clear to establish the contribution rate at 20 percent. The report reads: “This contribution would be $10 per square foot of the theater development rights transferred, the dollar amount determined as approximately 20 percent of the average sales price of land per square foot in the Theater Subdistrict.” Chairman Weisbrod then questioned whether Lodhi disagreed that 20 percent was the intent of City Planning. Lodhi argued that looking back at 1998, 20 percent of the value of the rights would have been $47 per square foot. Following up, Chairman Weisbrod asked that if the original goal, as stated in the report, was to have the contribution rate at 20 percent, then why shouldn’t that goal continue to be recognized. Chairman Weisbrod added that the theater industry received a significant benefit over the past twenty years by having a significantly suppressed contribution rate. Lodhi responded by positing that if the lower contribution rate were such an asset there would have been a rush to buy or sell the development rights. Robin Kramer, of Duval & Stachenfeld LLP, spoke on behalf of Jujamcyn Theaters, the Nederlander Organization and the Shubert Organization, which own most of the remaining unsold development rights. Kramer expressed support for the change from a Commission Certification to a Chairperson Certification. Kramer spoke against, however, the change from a set dollar amount to 20 percent of the sale price. She argued that while theaters must continue to be maintained and pay taxes, most theatrical shows do not cover their own costs. Additionally, Kramer spoke against the base floor price that the amendment created. She argued that it would be unfair to set a base price required to be met in transfers due to the multitude of subjective variables involved in each transaction. Commissioner Joseph Douek sought to clarify Kramer’s position and asked whether she was in disagreement with the price set by City Planning—$347 per square foot—or the methodology used to reached that number. Kramer responded that there has not been enough time to conduct a competing analysis, however, she pointed out that some of the numbers used for future adjustments exceeded the price of any sale that took place in 2016. Commissioner Douek then asked if Kramer would be supportive of the 20 percent contribution if there was no floor price. Kramer did not express support for the 20 percent but enunciated that between the floor price and the 20 percent, she was more concerned with the floor price. Commissioner Anna Hayes Levin, in regards to the change of the certification requirement, questioned what the practical difference would be to applicants seeking to transfer development rights. Kramer responded that the change could save months for applicants and pointed out that there was no loss of public airing by a changing the certification. A Commission Certification does not have a public hearing, and yet unlike most other certifications these would still go to both the Community Board and Borough President for review. Kramer emphasized that the change would simply eliminate timely process of placing the transfers on the docket of the City Planning Commission. She also noted that the Commission has no discretion to deny the transfer once the statutory findings are met. Commissioner Michelle de la Uz noted that one benefit of the Commission Certification was to accelerate the review of the Theater Subdistrict Fund which does not happen often due to the rarity of transfers to the Fund. The City Planning Commission is expected to render its recommendation in the coming weeks. UPDATE: On November 16, 2016, the City Planning Commission voted 10-0, with one abstention, to approve the proposed increase in contributions with a modification. The Commission altered the proposal to include a phase in period for the rate increase. The proposed amendment was sent to the City Council for its consideration.